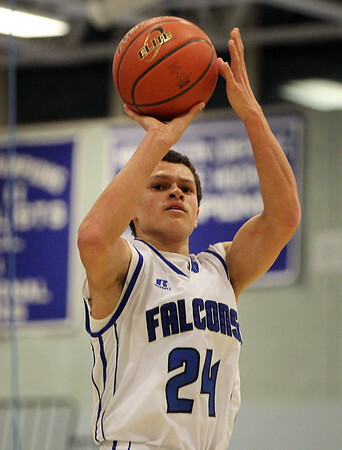 Danvers sophomore guard Devonn Allen (24) lines up a three-pointer against Salem on Friday evening. DAVID LE/Staff photo. 1/16/15.